Some very bad news today. Szeja brothers had a serious accident on test. According to the information from local press both were seriously injured (fortunately their lives shall not be in danger) and had to be airlifted to the hospital using two helicopters. One of them was stuck in the car and had to be cut out. 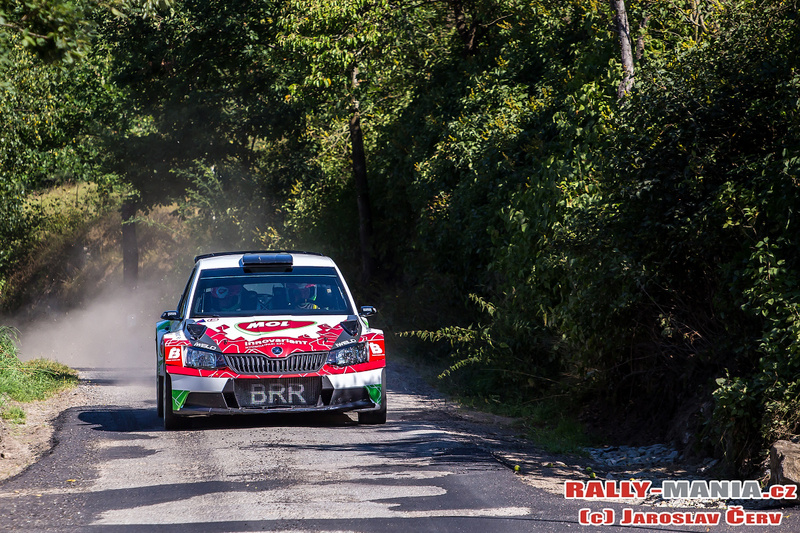 The accident happened near Mladá Boleslav on a former Rally Bohemia stage. Last edited by Mirek; 9th August 2018 at 22:34. Last edited by Mirek; 10th August 2018 at 08:17. Based on latest unconfirmed info the local newspaper rather overblew the situation. The injuries shall not be serious. It will likely take some time to recover though. Thanks for the information Mirek. According to the article at http://rajdy.autoklub.pl/news/wypade...-testach,86941 Jaroslaw Szeja (driver) is already out of hospital. His brother broke a rib and a collarbone, but is expected to leave hospital soon. They had to cancel their appearance in Perger Mühlstein Rallye in Austria. According to his facebook Raphaël Astier will start as well (with Abarth 124). Theoretically also Andrea Nucita and Andrea Modanesi shall start within the Abarth Challenge. Last edited by Mirek; 11th August 2018 at 21:04.